Andreas Hoffrichter joined the Broad College as the Burkhardt Professor in Railway Management in 2016 and he is the Executive Director of Center for Railway Research and Education. With expertise in railway systems, motive power and traction, and rail transportation, Hoffrichter directs the railway research and education activities at the Broad College—a unique and differentiating offering at Michigan State University. Hoffrichter studied Transport Management at Aston University, England, and earned a master’s degree in Railway Systems Engineering and Integration and a PhD from the University of Birmingham, England. His doctoral research led to the development of a narrow-gauge prototype hydrogen-hybrid locomotive—the first of its kind in the UK. He won the prize for the best PhD in the School of Electronic, Electrical and Computer Engineering in 2013. Prior to the Broad College, Hoffrichter was a teaching and research fellow in the Birmingham Centre for Railway Research and Education at the University of Birmingham and worked for WMG within the University of Warwick, England, where he led rail vehicle propulsion research. His research has been published in the Journal of Rail and Rapid Transit, Journal of Power Sources, and Transport and Environment, among others. 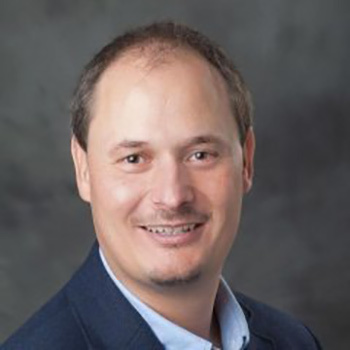 Hoffrichter is Associate Editor for the Journal of Rail and Rapid Transit and a committee member of the Rail Rolling Stock and Motive Power Committee.